When Congress passed a budget for fundamental tax reform last week, ten big-government Republican Congressmen from New York and New Jersey protested. These members are upset that Ways and Means Chairman Kevin Brady (R-Texas) is expected to introduce a tax plan this week that eliminates the state and local tax deduction (SALT), a shield that protects rich liberals from high taxes. It’s no wonder that these ten liberal Republicans found a friend in Governor Andrew Cuomo (D-N.Y.), who tweeted a cry-me-a-river screed defending the state and local sales tax (SALT) deduction and lambasting President Trump’s tax reform plan. SALT protects wealthy, suburban residents of New York, New Jersey, and California from the high tax policies of their state and local governments. It’s an itemized deduction of high taxes at home from your federal tax liability, giving low-tax red states the short end of the stick. SALT benefits disproportionately reward the three aforementioned liberal states, which claim 39 percent of SALT deductions, while hosting only 18 percent of the US population. Of course, Cuomo complained about losing SALT because it protects his wealthy, suburban New York voting base from the high tax policies that feed his Albany machine. The moderate Republicans who support him in keeping SALT are no better. They’re screwing over members of their own party. Itemized deductions are claimed by 30 percent of the American populace, and those who itemize are almost exclusively members of the top two income quintiles. 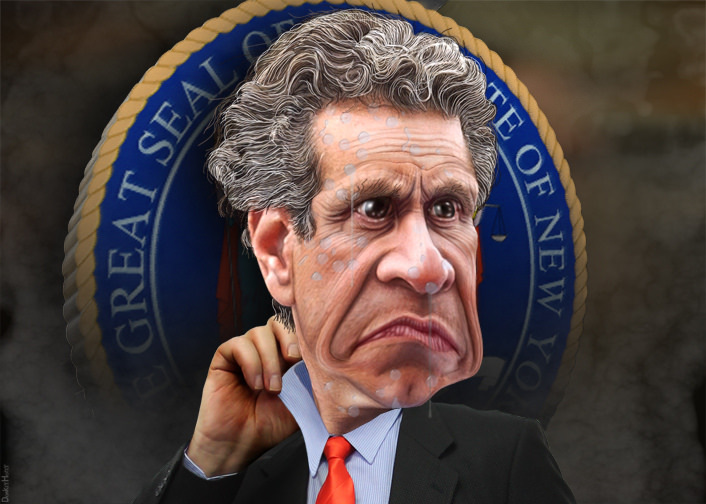 If Congress successfully votes to repeal SALT, Republicans in fiscally responsible states will stop paying for the burdens of New York liberals. There should be no federal subsidy for the costs of big government. When Ways and Means Committee Chairman Kevin Brady (R-Texas) introduces the Republican tax plan this week, he, Speaker Ryan, and President Trump should continue to stiff-arm liberal Republicans who want handouts for their poorly considered policies at home. Before diving into the details of the Senate’s version of the Tax Cuts and Jobs Act, let’s run through the latest in the House of Representatives. The lower chamber’s version of the Tax Cuts and Jobs Act, H.R. 1, was approved by the House Ways and Means Committee on Thursday, November 9 in a party-line vote. The discussion inside Congress to eliminate the state and local tax deduction is a welcome path to sustainable tax reform that doesn’t fuel deficits. Its repeal would provide breathing room for pro-growth reforms like lower corporate tax rates, fewer income brackets, and overall simplicity. On Wednesday, the "Bix Six" -- Treasury Secretary Steve Mnuchin, National Economic Council Director Gary Cohn, Speaker Paul Ryan (R-Wis.), Ways and Means Chairman Kevin Brady (R-Texas), Majority Leader Mitch McConnell (R-Ky.), and Finance Committee Chairman Orrin Hatch (R-Utah) -- unveiled a unified framework for fundamental tax reform. There are still many details that need to be provided, but the framework overhauls and simplifies the tax code, promoting economic growth, job creation, and fairness. Americans are suffering under the enormous tax burden placed upon them by the various government entities they live under, but help from Washington seems unreachable. Luckily for citizens of one state, tax reform could be coming swiftly, and from a surprising place. Good tax policy means having low rates and a broad tax base. To finance a reduction in individual and corporate income tax rates and the lowering of capital gains and dividend tax rates to spark economic growth, Congress, which is gearing up for fundamental tax reform, will look for ways to broaden the tax base through the elimination of certain tax loopholes, such as tax credits and deductions, that taxpayers can currently claim when they itemize when filing their tax return. Despite decades of economic analysis showing that it’s a bad idea, calls to increase the minimum wage continue to be heard from people who think you can mandate prosperity. In the latest, particularly egregious example, New York Governor Andrew Cuomo is proposing to raise the minimum wage in his state to $15 an hour, following the disastrous example of Seattle. The twist? He’s only applying the increase to fast food workers, leaving the minimum wage for other industries as is.